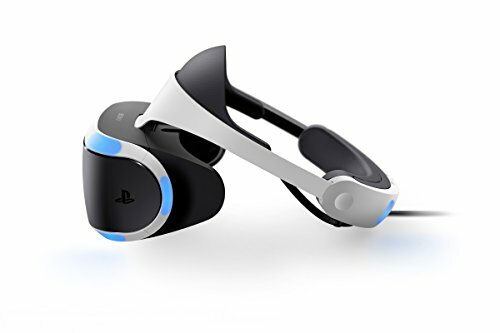 Sony PlayStation VR Launch Bundle:Immerse yourself in a virtual-reality gaming world with this Sony PlayStation VR bundle. Experience body-responsive gaming with the two PlayStation Move motion controllers. The built-in camera lets you take clear photos, and the stereo headphones provide rich sound. Challenge your gaming ability with the VR Worlds game included with this Sony PlayStation VR bundle. The new slim PlayStation®4 opens the door to extraordinary journeys through immersive new gaming worlds and a deeply connected gaming community.